Fans of FX’s incredibly popular American Horror Story: Coven recognize Madame Lalaurie and Marie Laveau as characters played by Kathy Bates and Angela Bassett in a mesmerizing world of intrigue, witchcraft, and gore set in New Orleans. 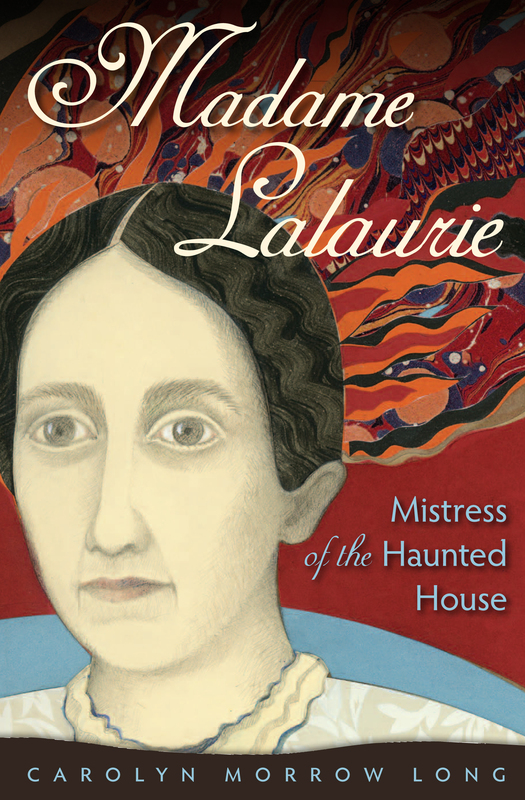 Carolyn Long, the author of biographies on both of these fascinating women – Lalaurie and Laveau – undoubtedly has a hard time watching the series without noting historical inaccuracies. But that doesn’t mean she isn’t a big fan of Coven, too! As everyone gears up for the season finale (1/29), Long takes each episode and offers captivating facts to counter and compliment the over-the-top fantasy depicted on screen. To kick things off, Long offers some background info to set the stage for what’s real and what’s sensationalized in Coven. Then she offers up a breakdown of Episode 1. You’ll never believe what really happened in Madame Lalaurie’s house that led her to be known as a slave torturer, or what Lalaurie’s real-life dynamic was with Bastien was reportedly like! The Premise: According to the plot of American Horror Story: Coven, the survivors of the 1692 Salem Witch Trials eventually fled Massachusetts for New Orleans and made their headquarters in an opulent mansion called Miss Robichaux’s Academy for Exceptional Young Ladies. Fiona Good (Jessica Lange), the current Supreme, an aging beauty now dying of cancer. Cordelia Foxx (Sarah Paulson), Fiona’s daughter and headmistress of Miss Robichaux’s, married to the duplicitous Hank Foxx, who is later revealed to be a witch hunter. The students: Zoe (Taissa Farmiga) and Madison (Emma Roberts) are pretty white girls; Nan (Jamie Brewer), also white, has Down Syndrome; and Queenie (Gabourey Sidibe) is an overweight African American girl. Misty (Lili Rabe) a Cajun witch who lives in a cabin in the swamp; she is associated with, not part of, the coven at Miss Robichaux’s. While Miss Robichaux’s once had as many as sixty “young ladies,” witches are “a dying breed,” and now there are only four girls. Queenie is supposedly descended from Tituba, a fictional character that has been portrayed in popular legend as a black Voudou priestess who corrupted the young women of the Salem household where she was enslaved. In reality, Tituba was an Arawak Indian kidnapped from South America and sold as a slave in Barbados. Tituba was the first person to be accused as a witch during the Salem trails. She confessed under torture and named a number of other women as witches, including Sarah Good. Tituba was imprisoned but not hung. Sarah Good, perhaps meant to be the ancestor of Fiona Goode, was hung on July 19, 1692. 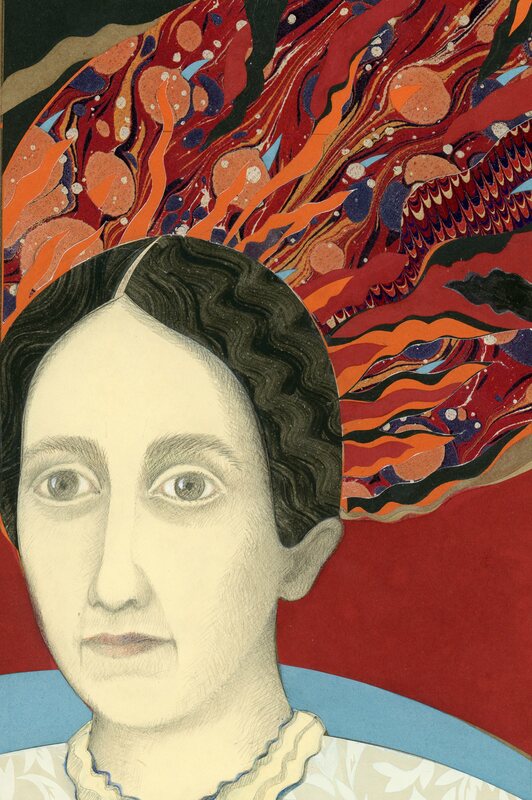 Madame Lalaurie portrayed in a collage by author Carolyn Long. Madame Lalaurie as played by Kathy Bates in Coven. 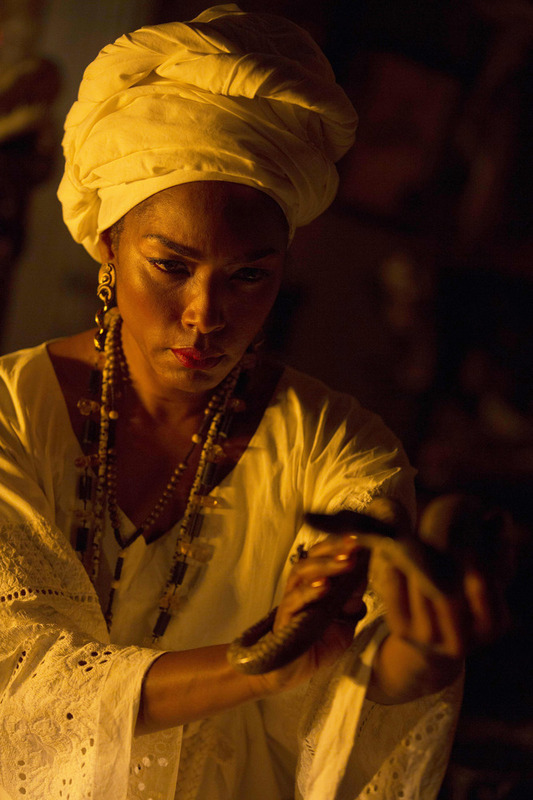 Marie Laveau as played by Angela Bassett inCoven, shown here performing a ritual. 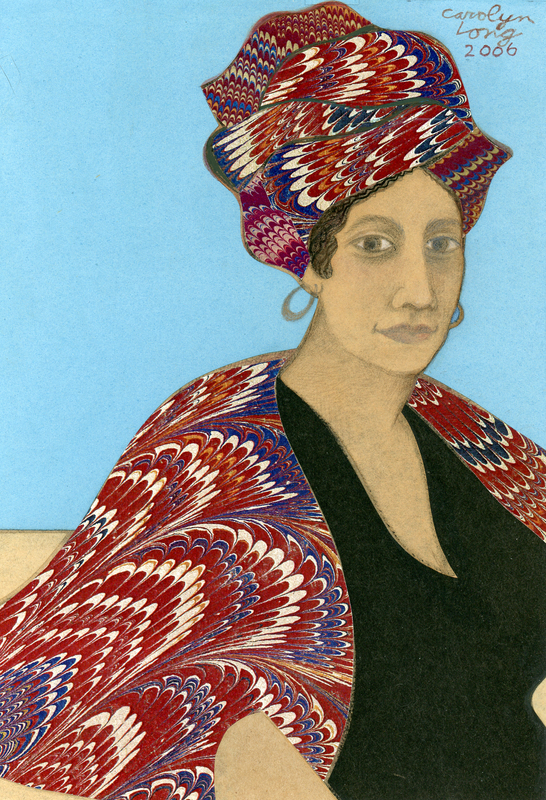 Marie Laveau as depicted in this drawing by author Carolyn Long. The story opens in 1834, when Madame Lalaurie (Kathy Bates) is holding a reception at her luxurious Royal Street mansion. Her intent is to introduce her daughters Jeanne, Pauline, and Borquita to some prospective suitors. Madame Lalaurie’s husband, Dr. Louis Lalaurie, hovers in the background. Fact check: Already the script, while incorporating some factual material, is deviating from reality. A portrait of Delphine Macarty Lalaurie is still exists and is owned by her descendants. From that portrait we know that she was slender and endowed with a severe sort of beauty. She had large dark eyes and prominent eyebrows. She was forty-seven years old in 1834 and still said to be a handsome woman. 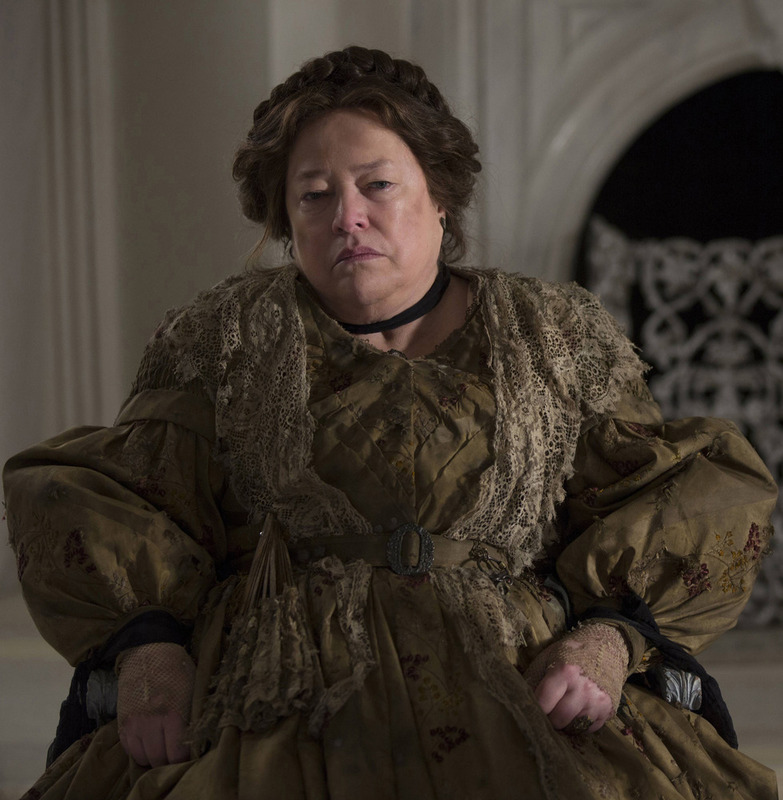 Kathy Bates, though a superb actress, looks nothing like Delphine Lalaurie. Bates’s character is portrayed as overweight, aging, and obsessed with retaining her youthful good looks. Fact check: Delphine indeed had an older daughter from her first marriage, Borja López y Ángulo, nicknamed Borquita, but Borquita had been married since 1821. Jeanne and Pauline were daughters from Delphine’s second marriage to Jean Blanque, with whom she had another daughter, Laure, and a son, Paulin. Jeanne married and left home in 1833. So if Madame Lalaurie was having a party to arrange marriages for her daughters, it would have been for Pauline and Laure. In Episode 1, Delphine slips away to her room during the party to apply anti-aging beauty treatment, made of blood extracted from the slaves she kept imprisoned. Dr. Lalaurie interrupts to say that “something’s happened” concerning her daughter Pauline and the manservant Bastien. Delphine accuses Bastien of sexually attacking her daughter, but Bastien protests that Pauline was the aggressor. Delphine has Bastien thrown into a cage, where she has the severed head of a bull forced over his face, transforming him into her favorite mythological character, the half-man, half-bull Minotaur. Fact check: Delphine Lalaurie actually owned an enslaved man named Bastien. He was purchased by Delphine’s second husband, Jean Blanque, in 1815, and is listed in the act of sale as a coachman valued at $1,670. After Blanque’s death, Delphine retained Bastien and other slaves “in payment of her matrimonial rights.” He was still a member of her domestic staff in 1834. Episode 1 continues in the present time with Fiona Goode and her coven of young witches walking through the French Quarter of New Orleans. Nan, who possesses the gift of clairvoyance, is distracted by impressions emanating from the Lalaurie mansion. The witches enter and eavesdrop on a tour guide’s retelling of the Lalaurie legend, and the group is conducted to the attic, the “infamous chamber of horrors” where Madame Lalaurie supposedly imprisoned and tortured her slaves. Fact check: The building used in the series to represent the Lalaurie mansion is actually the Gallier House Museum at 1132 Royal Street, a few doors away from the actual Lalaurie mansion at 1140 Royal. Evidently the owner of the Lalaurie mansion refused permission to film inside or outside his private residence. Madame Lalaurie purchased this house in 1831 while it was still under construction. It was built as a two-story townhouse fronting directly on the street. An attached multi-story service wing opening onto the courtyard housed the kitchen and slave quarters. The notion that the slaves were held in chains and tortured in the attic of the elegant family home is unlikely–imagine the screams and the vile odors emanating from this prison! They would have been confined in locked cells above the kitchen. American Horror Story: Coven airs at 10 pm each Wednesday on FX. Fact check: The most dramatic incident in the true story of Madame Lalaurie is omitted from American Horror Story. On the morning of April 10, 1834, a fire started in the kitchen of the service wing and quickly spread to the rest of that building. A group of concerned citizens gathered, and inquiries were made regarding the slaves who were rumored to be incarcerated there. Judge Jacques François Canonge led the men who broke down the doors, fought their way through the smoke and flames, and rescued seven slaves who had been starved, tortured, and chained. The victims were carried to the mayor’s office at the Cabildo, where they were reportedly viewed by at least 2,000 people. As the day went on and the sheriff did not come to arrest Madame Lalaurie, an angry mob formed to take justice into their own hands. Finally her carriage burst out of the gate and sped to Lake Pontchartrain, where she boarded a schooner. The populace, enraged by her escape, nearly demolished the empty house. According to legend, Bastien was the coachman who saved Delphine’s life. The Lalauries fled New Orleans after the fire, leaving Delphine’s sons-in-law to settle her affairs and dispose of the house and slaves. Bastien was sold in September 1834 and resold to another buyer in June 1836. He was eventually freed by the will of his last owner in 1849. Carolyn Morrow Long retired from the National Museum of American History in 2001. She lives in Washington, D.C., and New Orleans. 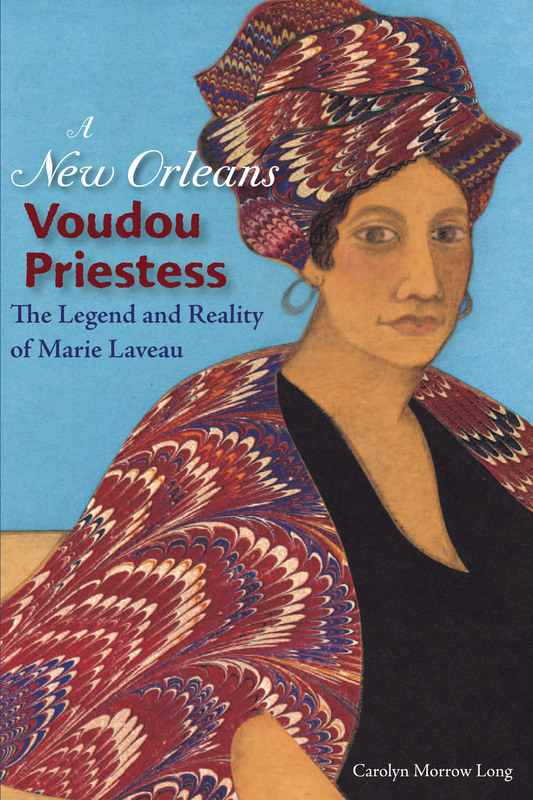 Her books, Madame Lalaurie: Mistress of the Haunted House and A New Orleans Voudou Priestess: The Legend and Reality of Marie Laveau. While I have to admit that I was entertained by “Coven”, I came away feeling frustrated that Even after all this time, Americans in general, still don’t have any idea of what hoodoo and Vodou really or the history of either, so these spiritual concepts continue to be trivialized and demonized. In some ways, I may as well have been watching one of those old 1930-50’s zombie horror movies like “I Walked with a Zombie” as the understanding and interpretation of African-based spiritual beliefs have not changed one bit. This is evidenced by the fact that Marie Laveau came off as a rather unsympathetic character and basicall a villianess, equal in her malevolence to Madame Lalaurie. As soon as I saw the Papa Legba character, I kept thinking that he looked more like a Ghede…Baron Samadi specifically, This was one of those details that were so inaccurate that that I had a really hard time maintaining my suspension of disbelief as I watched each episode.